​​​​​​​Adding Dramatic Lighting is the Best way to Show off Your Beautiful, New Outdoor Living Space. In Addition to Allowing You to Entertain Outdoors in the Evenings, Lighting Features also Provide Peace of Mind and Added Security to Your Home. Safety Experts Recommend Outdoor Landscape Lighting as an Important Component in Any Home Security System. 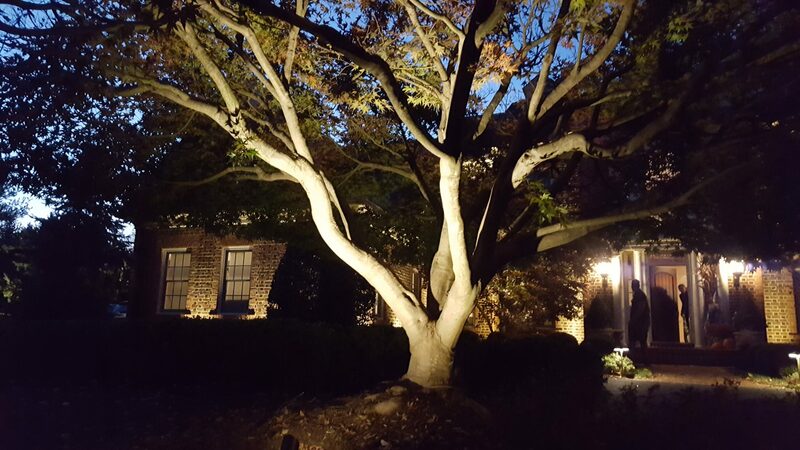 As night falls and your Maryland, DC or Northern Virginia area landscape seems to fade into the shadows, the elegance and subtlety of properly designed and installed lighting can create a immaculate night time effect. The "BeeTeam" at Ponds by Bee provide solid brass LED low voltage lighting, professionally designed and installed. At Ponds by Bee we'll consult with you on your unique needs with lighting your home property. 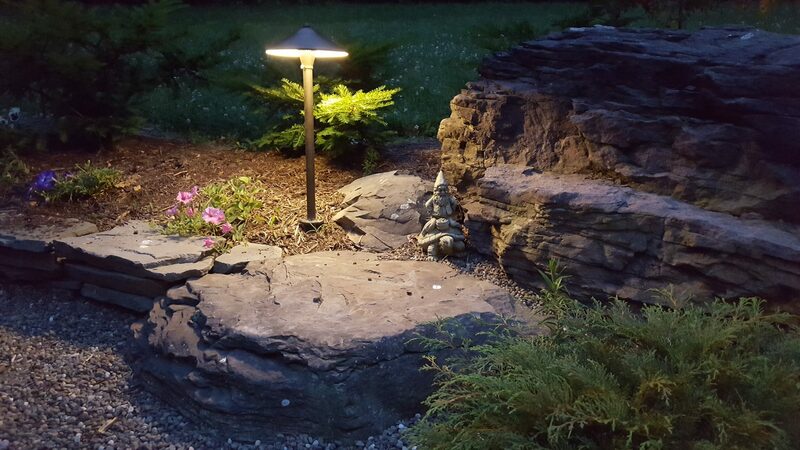 There are many elements to consider in landscape lighting such as beauty, functionality, and security. These all blend to become a fine art. Send us a few pictures of the space you would like to light up and our team will get right back to you!